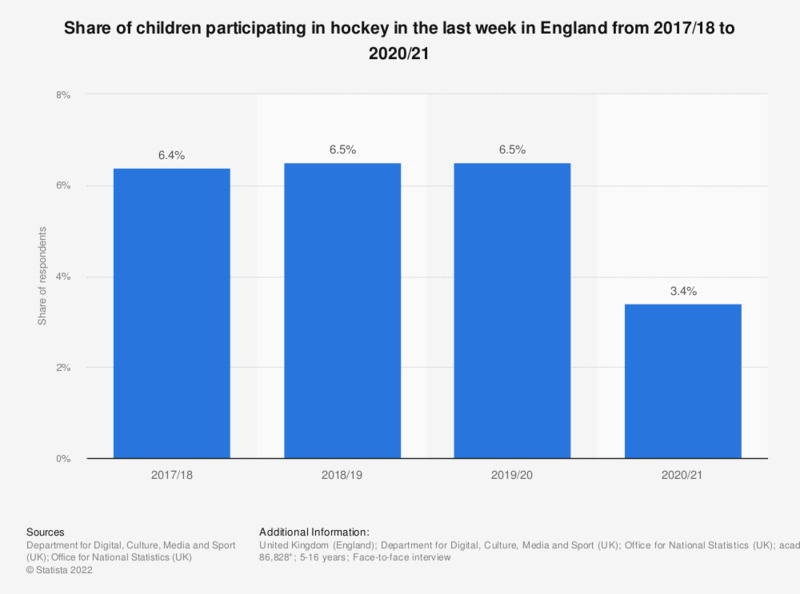 This statistic presents the share of children who participated in hockey in the last 4 weeks in England, as of annual surveys conducted between 2010 and 2018. In the period 2013/14, around 15 percent of the children aged between 11 and 15 had recently played hockey, compared to only 1.4 percent of 5 to 10 year olds. 2017/18: 5-10 year olds n= 909; 10-15 year olds n = 671; 2016/17: 5-10 year olds: n= 967; 10-15 year olds n=638. Australia: How many hours a week do you exercise/participating in sport activities?